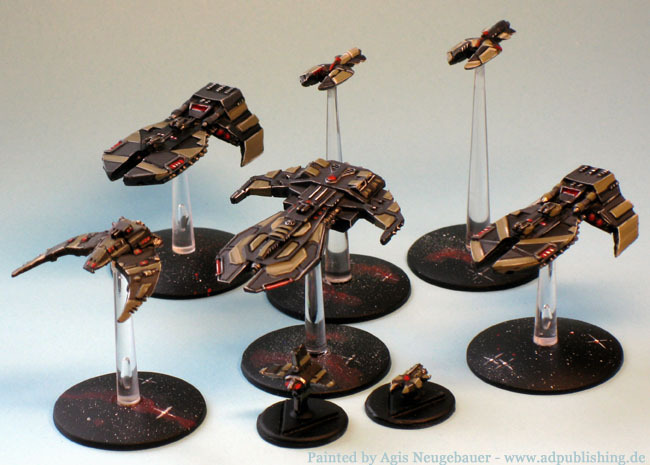 The popular space fleet combat miniatures game, A Call to Arms is back in a brand new guise – drawn from the detailed background of the Fading Suns RPG, A Call to Arms: Noble Armada is a fast to learn, hard to master space combat game involving fleets drawn from the Royal Houses. I liked Fading Suns since its 1st edition, but somehow never played the RPG. When Mongoose released their ActA variant I was hooked again! 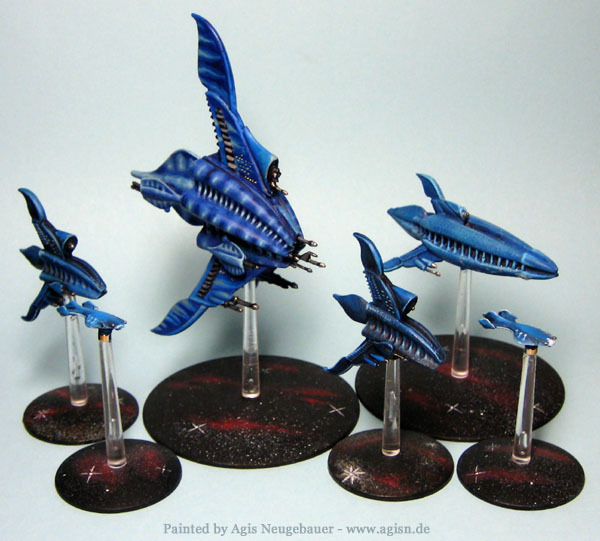 I plan to finish my Decados fleet soon, after that the Vau wait! 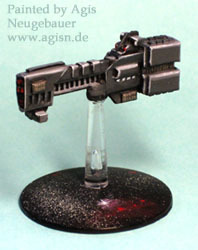 A Call to Arms is the game of space combat in the universe of Babylon 5. Throughout the station’s turbulent history, armed fleets have enacted the harsher policies of their governments. 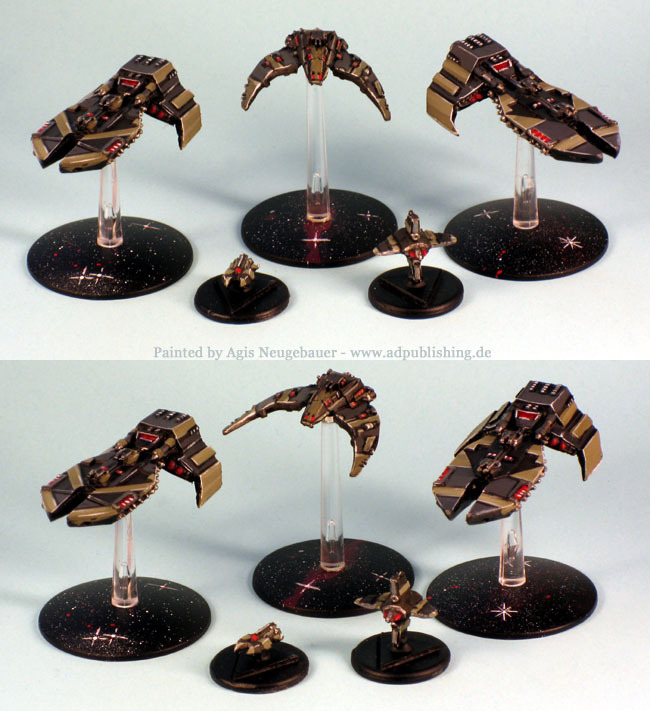 Now you can play out these confrontations on the tabletop with entire fleets drawn from the Earth Alliance, Minbari Federation, Narn Regime, Centauri Republic or any one of the many other races that dwell in the galaxy. From skirmishes involving single cruisers hunting down raiders to the clashing of allied fleets against the forces of ancient beings aeons old, A Call to Arms is your ticket to exciting battles that take place in the depths of space. 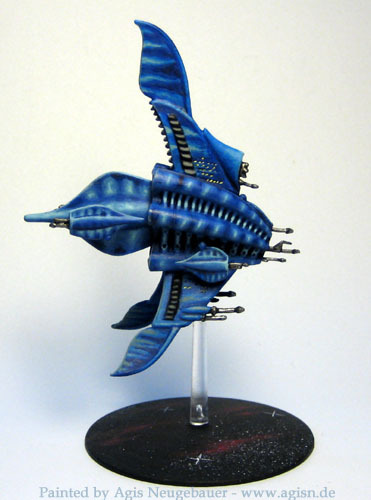 From tiny forces of raiders to the massed battle of Corianna VI, involving the League of Non-Aligned Worlds, Minbari, Vorlons and Shadows, anything is possible! That’s the intro to Moongoose Babylon 5 based Starship combat game. A rock solid game that won a couple of prizes already. 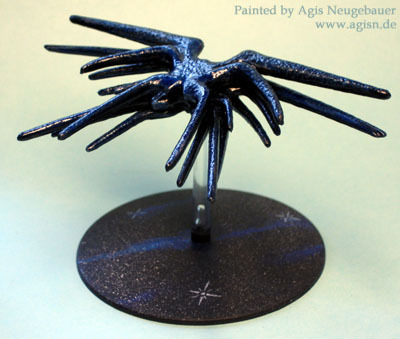 Best thing they are constantly improving the rules and bringing out new minis. 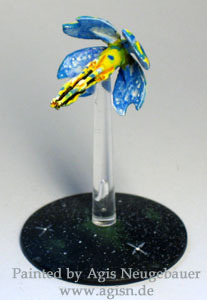 Victory at Sea, their “wet” navy WW2 game spark my interest again, so here I am painting Minbari and Earth Force ships.